The photographer Ruggero Arena is the winner of the KOD2019 Qualifying Stage with this shot taken of the rider Stefano Lorenzon, taken in the Travignolo area on the Pale di San Martino. As usual, big is the involvement in this first phase of the event with over 30 photos published on Instagram with the hashtag #KOD2019 and #KOD2019QS. First Hard task for the jury so, that was called to evaluate all the shots according to criteria like the dolomitic landscape, the quality of the action and the photographic composition, so they could declare the winner this afternoon. 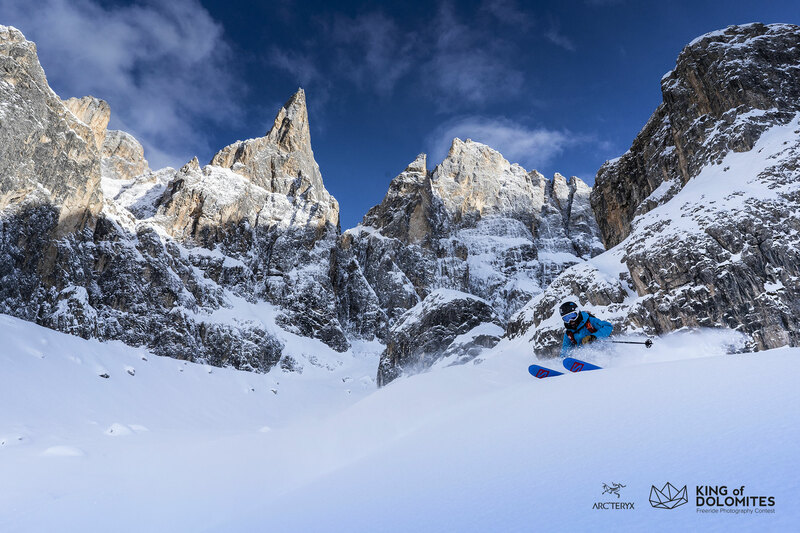 Exactly for those characteristics the jury decided to award Ruggero Arena’ shot, which more than others was able to capture the elements of the dolomitic scenery in his powder action. Everything is ready for the Grad Finale of the 2019 Edition of the contest, which will be held as usual in San Martino di Castrozza from Thursday 21st to Sunday 24th February: More than 20 Teams of riders and photographers have already joined the contest and will fight for the best shot on the snow around San Martino, with the goal of taking the best photo of the dolomites. The King of Dolomites 2019 will be crowned during the afternoon of Sunday the 24th of February in the centre of the town, inside the KOD Village, a special village built up for the occasion, within which will be possible to look at some shots with the best photos from the past editions of the contest.